A satchel from Disaster Designs Bohemia collection. 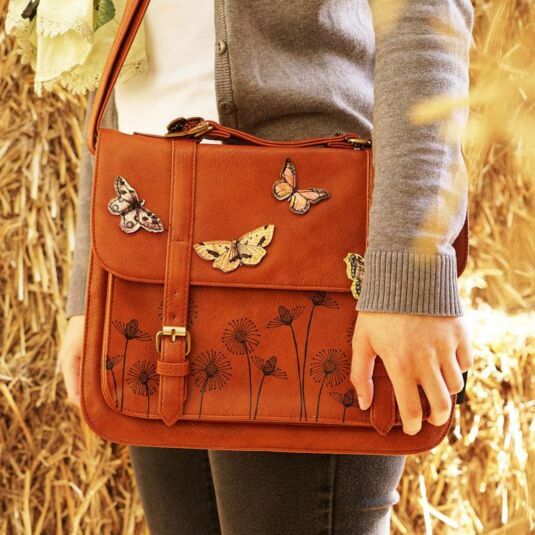 This stylish satchel bag is part of the Bohemia range from Disaster Designs. 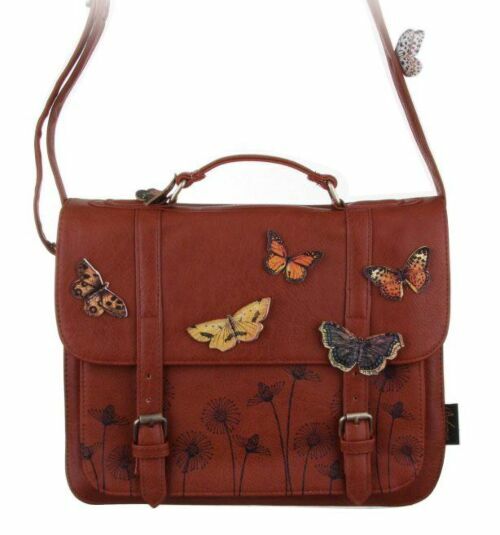 Beautifully illustrated with three dimensional butterflies, it is big enough to be your daily bag, and pretty enough for special occasions. 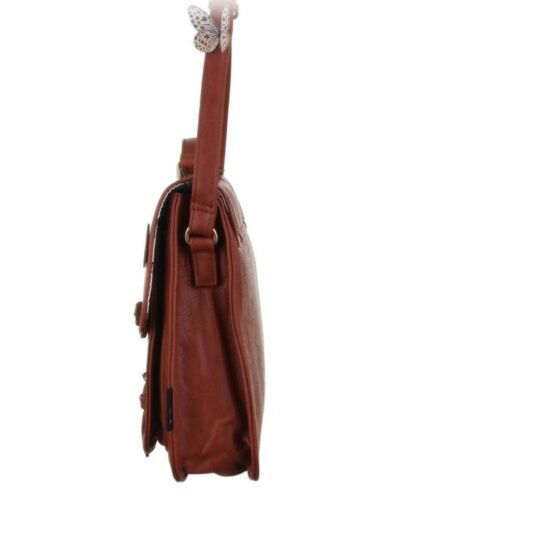 The bag features a small carry handle on the top, and a long adjustable strap, so it can securely be worn across your body or on your shoulder. It has two buckles which close with magnetic poppers to keep your belongings safe whilst on the move. 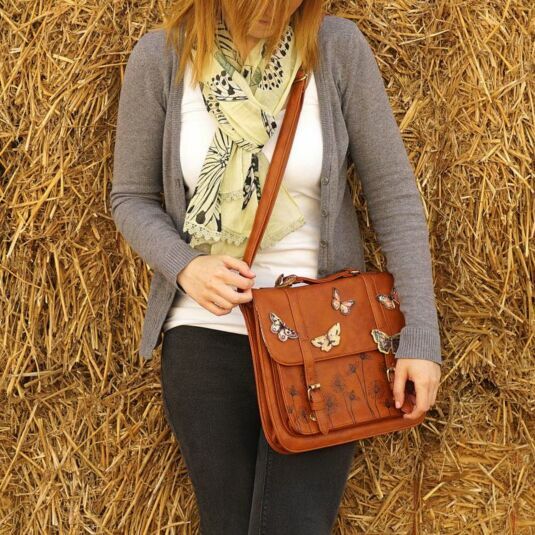 The lining on the top of the bag features cream cotton with a black butterflies print, and inside the bag you will find a small zip compartment, a mobile phone pocket and additional small pocket so your valuables can stay safely tucked away. There is also an additional pocket on the front of the bag. The bag would make a lovely gift for any bohemian minded woman, and appeals to all those with a gypsy temperament. This classy range of bags and accessories by Disaster Designs combines city chic with natural notes. 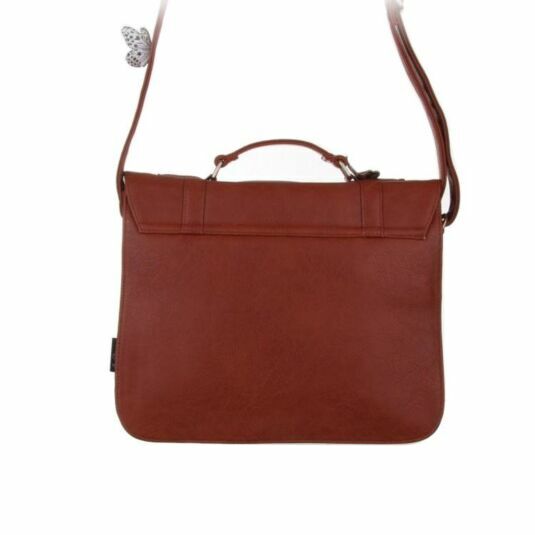 The core items are smart brown faux leather satchel style bags with a realistic leather finish. They are finished with appliquéd life size butterflies, a motif that runs throughout the Bohemia collection, becoming part of a distinctive print on the scarves. The classic styling of these items works for all occasions.